At Raceway Kia, we want you to know that you have multiple options for what to do with your vehicle at the end of your lease. A lot of customers think that they have to turn in their leased car, truck, or SUV and walk away. That’s not true! You have choices–and we’re happy to help you with any of them. If you choose to return your leased vehicle or trade in your leased Kia at Raceway, we’ll PAY YOU a cash bonus! Whether or not you leased your vehicle at Raceway, we can help you as your lease term is coming to an end. You may get a phone call or an email from someone assigned to help you make the transition–you can discuss your options then as well. You can easily choose one of the these three options at the end of your lease. Make an appointment with Raceway Kia–even if you didn’t originally lease your Kia here. Review your vehicle’s condition, using the terms of your lease. Do you have excess wear and tear? Excess mileage? Make sure you understand what will happen when you turn in your leased vehicle. Turn in your vehicle at the dealership. If you decide you’re in love with your vehicle, make an appointment with a Finance Manager at any point during your lease. Your vehicle has a set residual value and agreed-upon purchase price in your contract. Raceway Kia can help you get financing and transition from a lease to a purchase. 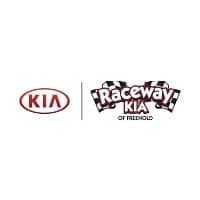 Contact Raceway Kia at any time during your lease. Set up an appointment with one of our salespeople to view our current inventory–or take a look at our online showroom! Find a new or pre-owned vehicle that better meets your needs and meet with a Finance Manager. Our Raceway Kia Finance Department can often buy your leased vehicle instead of having you return it to your lender. You’ll get several options for money down, interest rate, and terms so that you can choose the situation that works best for you. Go home n a new or pre-owned vehicle from Raceway Kia!